It’s time to look at a rather unique Sci-Fi film that balances a bunch of genres, but mainly focuses on the drama aspect. Unfortunately it suffers from being an overly long, melodramatic film that makes quite a few mistakes. 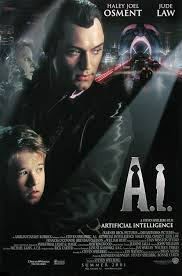 It doesn’t make for a particularly engaging watch and the whole time you will just be wondering where Skynet is. When you watch films with humans worrying about the robots becoming a threat, you look forward to seeing the robots take over. Instead the film is mainly just the humans picking on the robots for a long while with no real payoff of any kind. The film starts with a couple deciding to adopt a robot kid in place of their real son who is in a coma. This definitely didn’t seem like a reasonable move right from the start. At first you think that this might make sense because you presume their son is dead. (Still a terrible decision as the wife even mentions that it’s like trying to replace their original kid since they bought a robot that looks exactly like the son) but when you find out that he’s alive then the whole thing gets real messy. The worst part is that the husband is the one who decided to get him and once the son gets back he immediately turns on the robot. Breeding robotic kids already seems like a super sketchy business to be honest. Well, the family abandons David so he goes on a journey to find out how to return home, but it could be difficult. In this world robots aren’t able to fight back against their human oppressors so the humans use this as an excuse to beat them up as much as possible. The robots hopefully can’t really feel pain, but it’s still pretty dark and gruesome to be honest, much like the rest of the film. The whole film just comes across as rather disturbing and very dreary. There is never really a moment where the film feels hopeful or even fun. It’s just a very dull experience where the characters are stuck in a dystopia that they can’t hope to escape. You’ll definitely feel bad for David, but the problem is that he isn’t even an enjoyable character. David may be an A.I. but he still isn’t very smart. Since he was programmed to be a kid that may serve as an explanation for this, but he doesn’t even know his robotic limitations. He He attempts to eat food when dared to which causes him to shut down and then he doesn’t even know common sense. He shouldn’t even be able to lift a pair of scissors since you’d think that it would register as a weapon and his self defense mechanism doesn’t seem very great to be honest. He also comes across as very ungrateful at the end of the film as he is mean to the beings who find him and is always sulky. Kids can’t really hold their own film and I suppose this still applies even when the kid is robotic. David meets up with another robot who helps him learn the ways of the world, but that guy isn’t great. His character gimmick is that he is a robot who provides pleasure for the Earthlings, but that doesn’t work out well either. Naturally some other humans don’t like this so they frame him for murder and send him to the robot circus where they are all blown up. David doesn’t even feel bad about ditching this guy which tells you all that you need to know about him. There are no good characters in this film, that’s something you’ll learn very quickly. If you count inanimate objects, which you probably should because once you go into robotics the distinction starts to get a little tricky, then the Teddy Bear is reasonable. He’s another rather dark character with a morbid sense of humor but at least he won’t be backstabbing anyone like the other characters. He seems like a really random character at the start, but by the end he fits in well enough. The end of the film gets really crazy. I won’t go into detail, but the jump does take us 20K years in the future to see how the Earth ultimately turned out. It’s definitely the optimal timeline if you ask me even if it does seem like the inhabitants probably aren’t having too much fun at this point. I guess you can’t win em all right? At least there shouldn’t be much crime at all anymore. It’s not a great ending or anything, but I guess I can appreciate how out there it all is. Throw in some big fight scenes and maybe the film could have been saved. At the end of the day, this movie could have been better if it wasn’t so disturbing and creepy the whole time. If you’re going to do a story about Androids and what it means to be human, you need to do it in a better way. I don’t think it works very well if the main android is a kid because then it isn’t able to really handle the themes properly. It just doesn’t work at all and the alternative is to have a film like Terminator where the robots decide to take over the world. Having a twist like that during the second half of the film would have been absolutely amazing. A shame that it didn’t go that way right? Overall, I would not recommend A.I. While it is a step up from complete flops like 2001: A Space Odyssey, it reminds you why the Sci-Fi genre is best when it doesn’t try to hard to be super deep and emotional. Mixing those two genres just doesn’t work very well so you need to focus on the action aspect or just being a light hearted adventure in the future. Emotional films like this one would likely fail either way, with or without the Sci-Fi angle though. If you want to see a film that just tries to be a Debbie Downer at all times then by all means go for it. Otherwise, I’d suggest just watching Terminator Genysis instead and reminding yourself why these robots can be dangerous and will eventually wipe out humanity. It’s time to look at a really old school alien film. These films usually went one of two ways. The first/best way is to introduce the alien relatively early on in the film and then legitimize the threat by having it blow up cities or take out a squad of UFOs to threaten Earth with. The second is to just have one alien show up and of course it isn’t actually bullet proof or anything like that. It’s a great way to destroy the hype and having all of this take place with a bunch of dogs present is just asking for trouble. Yes, this film wasn’t quite ready for the big time. So the film starts off with the U.S. Air Force guys resting at the arctic. It may not have actually been the arctic but the whole place was in deep freeze so it may as well have been. We get a lot of small talk and everyone just messing around until an alien actually does crash nearby. It’s frozen in ice at least so there is no danger right? Well, one guy thought it might get cold since its frozen and all so he offers the block of ice an electric blanket. The alien wakes up and starts destroying them all. Can the army stop it? Usually that’s the question that a film is built around and the tension is wondering if the humans will live. That’s not the case here as shooting the creature would put an end to everything. No, the problem is that the humans want him alive even if they have to sacrifice everyone else to do it. One of the most annoying scenes is when a guy goes into the barn for some reason and the alien starts biting him. Nobody wants to step in to help the poor chap since they don’t want to hurt the alien. That’s…..not a very nice stance to take here. The guy survives as eventually they decide to go help, but they couldn’t be slower if they tried. Additionally, as this takes place in the snow they have a lot of sleigh dogs around. The humans are so cowardly that they send the dogs in first while they hide in the hut. Unfortunately one of the dogs does not make it so that was already game over for the film. It should always be the reverse where you keep the dogs inside and go to fight on your own. That’s the only respectable thing to do in such a situation. Another problem this film has is just that it’s very boring. The alien isn’t very interesting…maybe I should stop calling him an alien at that as he’s basically just a space cave man. Don’t expect a Xenomorph design. That leaves the humans and those characters are completely forgettable to the point where none of them get any memorable lines. You’ll be waiting a long time for something interesting to happen and most likely that point just won’t come. It’s a pretty sorry state of affairs if we’re being honest. I don’t want to say that the script is bad. It’s actually fairly decent so I’ll just blame the writing in general for not doing something to make this film stand out. I think the locale was a mistake because there’s only so much you could do in a cold environment in this day and age. The film’s best chance would have been to have taken place in a city or something. Realistically I doubt this would have magically transformed this into an amazing film or anything but it would have helped. I don’t think I’ve said any positives yet so I should try to think of one since this film isn’t a 0 after all. I guess the pacing isn’t terrible. The scenes don’t really drag on, it’s more like the film itself is so slow that it often feels like the film is moving very slowly. I think that’s the best way to put it. While the characters aren’t interesting, I wouldn’t call them terrible or anything like that either. They get the job done and at the end of the day that’s all you can ask of them. Yeah…..I tried. Overall, There’s not too much to say about this film beyond that. The characters are annoying and the alien wasn’t a lot of fun. If it ever got a sequel where the aliens starting falling from the skies and attacking the world then maybe that would be better. It would be hard to not be an improvement since that would add a lot of tension and excitement to the film which is sorely lacked. There’s a good reason why it took me so many weeks to get to this review when I usually get the movies up a few days after I’ve seen them. This one was just surprisingly bad and squeezing in animal violence is always a big no no. If you want to watch an alien invasion story, just check out Godzilla Final Wars. It’s time to look at a really old alien film. This is the kind of flick that will remind you why aliens are so scary in the first place. They can’t be reasoned with and just want to take over every planet that gets in their way. You don’t want to mess with these guys and the humans have to desperately scramble to stop them. It’s an entertaining film that may not have the best lead, but still hits most of the right notes. The film starts off with Russell sending another rocket into space. It’s been a futile mission as so far each missile has been sent right back down to Earth. At this point he is just wasting money and a general tells him this, but the lead refuses to listen. He will keep on sending the missiles into space and nobody can stop him! As he drives away with Carol, a UFO shows up which changes things a bit. They are now readying their invasion force to take over the Earth. Russell will have to build a super laser to shut them down, but can he really invent such a thing or is he already doomed? As you can tell I thought Russell was rather slow on the uptake. If a bunch of missiles keep losing contact as soon as they are sent out, why would you send more without actually fixing anything about them? The main characters finally decide to add a camera to the last one so they can find out what is happening, but shouldn’t a camera have been there right from the start? It seems to me that for a mission of such importance you would want to document everything at all times. Russell’s big slip up was in meeting up with the aliens privately. Carol and the army guy do manage to catch him so they all end up being threatened by the aliens as a team. I’ll give the army guy some credit for actually firing at the aliens while in the ship. They might as well go down swinging right? Russell is the one who puts the group in danger constantly. For example, he knew that a little energy orb had been spying on him for the last few weeks and that random lights would show up in the sky, but he thought nothing of them. It seems like nothing would cause him to show even a little bit of the usual alarm that you would expect from a reasonable main character. He may get to run the victory lap at the end, but he certainly put the Earth in quite the predicament. Meanwhile I can’t say that I was a big fan of Carol. Mainly because she was quick to rat out Russell when he was trying to escape the base. Whether she agreed with him or not, such a call would probably have him arrested and it’s not like she had a better idea. When you make a call to betray someone like that, it’s a big decision. The characters forget about this pretty quick, but that could have been a very damaging moment for them. I do have to give the army some props for shooting the aliens right away. Obviously that isn’t usually a good idea since the aliens hadn’t actually done anything yet, but we weren’t going to be pushed around this time. Usually when the army shoots first it turns out that the aliens were actually good guys so this was a good way of flipping that around real quick. Too bad their tech was so much better than ours as otherwise it could have been a pretty even fight. We didn’t hesitate to fire off our rockets and heavy armaments either so the world was ready. There is some plot hax in the climax though. As I mentioned the aliens do have the superior tech here including ships that can run rings around ours. Their speed is so great that they can appear from nowhere to disintegrate us and then vanish again. How is it that they didn’t notice the humans plotting against them? At the very least you would expect them to have the main characters under surveillance until the invention was built. Leaving the humans alone (Even after they broke the alien spy probe) was just not a smart idea. Even once they knew that the humans were turning violent they sent in one robot instead of blasting the place to smithereens. The humans got lucky and they know it. 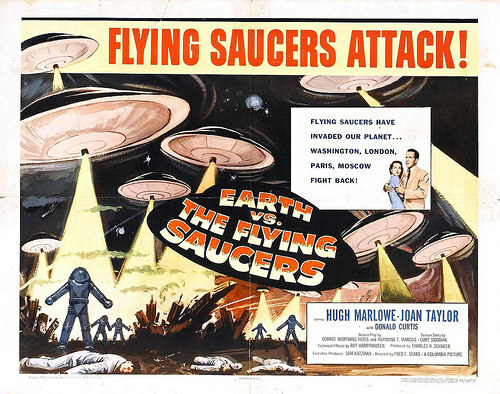 We do get some decent action sequences at the end though as we shoot down all of their UFOs. You’ll end up feeling bad for the landmarks though as the aliens make sure to crash into them every time one ship is shot down. By the end of the fight I feel like the city will look a whole lot different. I suppose some damage is expected when saving the world though. I also like to think that the aliens made sure to intentionally hit these spots just to at least get a little petty consolation victory. If only they had just tried destroying us all when they had the chance! Overall, This was a fun movie. It’s a classic Alien Invasion story filled with suspense and action. The writing for the movie is certainly on point even if the main characters are annoying. The characters you will be rooting for the most will be the government agents. They don’t plan to go down without a fight and talk tough whenever they are on screen. That’s exactly what I like to see and even the Aliens admitted that in a battle for the Earth we would keep fighting til the last man. Humanity got its props here. After all these years of hype the Justice League movie is finally upon us. The series has been amazing so far despite getting critically pounded. Not every film was great, but for the most part they were all solid. This film also ended up being an excellent addition to the cinematic universe. It can be a bit of a slow burner at times but one that does build up to a great climax. After a quick scene that I actually forgot until after the film, Justice League opens up with an action scene where Batman takes down a Parademon and realizes that the invasion is closer than ever before. This was a perfect scene to kick off the film since it immediately has the aliens show up so the heroes can form the team. While I will have a bunch of critiques coming up, there is nothing I can say about this scene. It was basically perfect from the set design to the Parademon’s special effects. After this Batman decides to track down Cyborg, The Flash, and Aquaman so that these super powered individuals can stop the invasion. Wonder Woman has been alerted to what was happening as well and shows up to help. Can this alliance really stop the armies of Apokolips? Let’s start with the basics. The soundtrack is really good. It’s not as memorable as Man of Steel but it does a good job of sounding epic. The Wonder Woman theme returns which is always fun. I was expecting the cool Man of Steel tune but maybe next time. The graphics are also really good for the movie and that’s one area where DC really excels. I have yet to see a CBM top BVS, or this film with the backgrounds. Man of Steel and Avengers are also pretty high up in the rankings. Essentially the whole climax of Justice League is in a fiery, apocalyptic future backdrop which makes every scene even more epic. You also have to give the film credit for most of the outfits. Batman’s is definitely one of the best he has ever had and maybe it is the best. It reminds me a lot of his look from Justice League Heroes. Superman and Wonder Woman’s costumes also look pretty sharp. I’m still not sold on Aquaman and Flash so those didn’t hit it off for me. Cyborg’s was pretty good and I actually liked the mysterious cloak/hoodie costume. Now let’s get on to the characters. Batman is essentially the lead here. I’d say that he looks pretty good. He is still the brains of the group although his plan is typically just to get whoever he is talking to upset. It took him quite a bit to realize that the guy was Aquaman as well unless that was part of the plan. He gets beat up and saved quite a bit but his reckless self sacrifice plans are still on point. He did have a nice contingency plan for Superman again as well. When it comes to personality he’s still my 2nd favorite character as expected but he is really going to need more power ups as the films go by or he is going to have an even tougher time dealing with the villains. That is give him some prep time once again. Superman is my favorite character as always even if they decided to go with the edgy route for this film. I don’t mind an edgy Superman if done right after all. He was comically out of character for the entirety of his first scene when he attacks the League. Sure he isn’t too thrilled about why he is around but the Superman you’d expect would just endure this quietly or at least ask some questions. Trying to seriously injure and destroy the other heroes just doesn’t seem to be in character at all. The film played it off like he was actually going to destroy Batman even using one of Batman’s edgy lines from the last film to show how the tables have turned. Later Superman is rather reluctant to help out and must be told to do so. He then does a complete 180 ad starts cracking some jokes and laughing with everyone. It’s almost like they had two different writers and the 2nd one took over just for the climax act of the film so the scenes didn’t gel well. What both acts really got right was Superman’s power and speed though. If you’re familiar with the characters, you’ll know that Superman is way stronger than the other League members. He could beat them teaming up without using all of his power. The film demonstrates that quite nicely. Even when he’s not been able to be in the sun for a while and was likely not at full power, the heroes just couldn’t hurt him. Wonder Woman is very strong but not strong enough to actually deal damage to him. Flash is fast, but not fast enough to actually land a hit on Superman. This is essentially how every fight with Superman and the League should go and I was incredibly impressed with how Superman looked here. I get the feeling we won’t get to see him look quite as impressive ever again so remember these scenes well. Going back to Superman’s personality for a second, it is also weird that he holds such a grudge against Batman. It’s true that only Batman called them friends and Superman was rather cold to him throughout the climax but I thought he got over that by now. Wouldn’t Superman give him a second chance or let bygones be bygones? At the very least I’d expect him to try and arrest Batman instead. I still say that Batman should have called in Martha right away. She would have ended the whole situation right away. Despite this, Superman naturally does make the hero calls in the end and he’s still the best. In a way it probably is annoying to have to save the world every other day since nobody else can do it, but Superman will get over it and be inspired again before long. Wonder Woman naturally gets a big role as well to close out the trinity. It’s likely only second to Batman’s. Until Superman shows up she is the only power hitter of the team so she basically has to fight Steppenwolf on her own. Wonder Woman does a pretty good job of lasting and while he is a little too strong for her just having one more ally who could fight would have been very useful and could have tipped the scales. She’s certainly a solid character as well and I wouldn’t have minded if the main 3 had been the focus of the film since the rest of the League members weren’t all that good compared to them. The only scene where Wonder Woman looks bad is when she decides to go against Batman in his master plan. I’m cool with her disagreeing with him since not messing with death can be sound advice. That being said, she immediately goes for the personal attacks and brings Superman into the discussion yet when Batman responds in kind she snaps and breaks his shoulder. She can dish it out, but evidently she can’t take it. Batman’s response was also pretty on point since she did randomly vanish for a century. We can blame DC for not thinking that plotline through since it was out of character for her, but it happened so she doesn’t have a whole lot of room to counter here. On a side note, I would have liked to have had more scenes of Batman insulting the League. He had to play ball with them since Superman wasn’t around and he was a bit of a leader for them, but it feels like a missed opportunity. If Superman had been around the whole time, Batman could have acted like the stone cold detective he usually is with subtle burns and verbal shots throughout the film. Maybe next time though and he still got his share of memorable lines. Next up is Aquaman. He’s the worst member on the team so I won’t dwell on him too much. He’s basically just a drunk guy with slight super strength who is supposed to be funny, but never quite makes it. He contributes absolutely nothing to the film. If you take him away then the events don’t change. He feels like filler throughout and the guy seems to just be around to annoy everyone. The film also tries to use him for humor which doesn’t work too well. This guy should not have been in the film and I had a feeling this would be the case ever since the first trailer. On the humor side, I was impressed with the film. From the trailers/ the last two DC films I got the vibe that the film was going to be over the top with humor. Adding a ton of jokes here and there to liven things up. Surprisingly, the film is still pretty serious the whole time. This does feel like it’s in the same universe as Batman V Superman and the whole opening is very grim. I honestly wouldn’t have minded if the whole film was like the Batman vs Parademons scene as it’s dark out the whole time, but that brings along its own set of risks I suppose. While some of the humor can be forced, it never becomes too distracting from the film. The characters are all pretty serious during the fights as well so it’s not as if they’re distracting themselves. The film handled the balance quite well. Our next League member is Flash and naturally the TV show comparisons will start the instant he appears. I’m not sure how they could have gotten his design and costume so wrong with the big budget. The TV show’s version looks superior in every way. I can’t speak for the personality since I never saw the Flash, but from the clips I’ve seen he also seems like a much better character. This one looks too young and the fact that he is a novice with his powers can be pretty grating at times. He doesn’t even feel all that fast compared to Quicksilver from the recent X-Men films. Flash would get decimated in a fight if we base it on the movies and while the nerf is okay if the writers felt like they would be getting into plot hax moments like Quicksilver vs Apocalypse, it sort of defeats the purpose of the Flash to an extent. He needed to be more confident and self assured. We got glimpses of Flash being quite intelligent, but they were very subtle and he never even got to fight in the film. He barely threw a single punch until near the very end and those may have just been tackles since it seems like he vibrated through his opponents. He’s essentially a Peter Parker ripoff right now so I’m hoping he improves for next time. Cyborg is the final main member and he’s all right. He comes across as annoying and whiny for a while though as he’s inflated with self importance. Maybe it’s because he starts off as a Cyborg, but you don’t feel any sympathy for him. He would have died if the parts weren’t merged with him so I don’t think he has a whole lot of room to complain. Now, the process did look painful so if he talked about that then maybe I could buy into it, but he spends the whole time complaining and feeling bad for himself. It’s one big pity party with this guy and his plan at the end was really flawed as well. Without going into detail, he said he could stop the boxes by doing a cool magnetic pulse and all. The thing is, apparently he needs someone to actually push them apart as well and the only way to even have a chance is if you have a guy with Superman-like abilities…and Superman wasn’t around. The plan was for him to do it himself..but how? There’s no way he could have done it so he effectively led the team on a suicide mission. I still think of Cyborg as a Teen Titan and this film didn’t change that, but now that he’s accepted his powers he should improve quite a lot. Unfortunately Lois Lane was a big miss in this film. Her depression over Superman’s passing is used as the excuse for why she’s not a daring reporter anymore, but this also doesn’t really work well with her character. While she’s never been all that great in this series, at least she took a lot of risks like in BVS where she went to get the spear or in Man of Steel where she broke into an alien ship. In this film she has completely given up on everything and has been reduced to a weak character. Her role is very small anyway, but it’s definitely not the Lois that I expected. Martha Kent is all right I guess, but none of her dialogue is particularly funny or heart warming despite that being the intent. The scenes of Martha and Lois chatting was easily the worst part of the film since it just felt like filler and didn’t add anything to the movie. You would basically just wait for the scenes to be over so we can get back to the plot. Fortunately this film was good at constantly shifting from scene to scene so you were usually not in one place for too long. A human subplot that was actually decent was the family hiding in a cabin. Granted, this was also complete filler but at least it showed that some people were ready to defend themselves. The plot didn’t end exactly how I pictured with Superman showing up to save them and all, but it was still okay and didn’t last too long. Steppenwolf is basically the only villain in the film. He’s a miss as far as personality is concerned, but he’s a strong fighter which makes for an engaging antagonist. Not too many fighters use an axe so that was cool. He was really creaming the League and just about everyone else he fought aside from a certain hero. He definitely lived up to his hype and I’m eager to see how the films portray Darkseid. So far they’ve been very good at making the villains both strong and fast. I don’t think he will be an exception so Superman vs Darkseid could very well be the greatest fight in live action if handled right. I do have to question the Amazonian tactics near the beginning though. So, they know that the box is vibrating and they also know more or less that it’s a bad sign since they fought the owners a thousand years ago. Naturally the Queen posts a few guards by it…and then sends the rest of the army to the other side of the island. Why would you do that? I think even a kid could have told you that you leave most of your army by the box that spells imminent danger. As a result, Steppenwolf tears through the few warriors that guards it. Showing her bravery, the Queen deserts her fellow sisters to get the box away and locks the cave behind her to seal their fate. Steppenwolf still destroys just about everyone as he grabs the box and leaves, but would he have fared as well against a whole army? I think he probably would have shredded them all pretty easily, but since the film played it off like the army was a threat, I think it was a tactical blunder. The Atlanteans were just as bad and only left a few scrubs to block the box. Steppenwolf wrecked them pretty easily and ran off. Honestly the humans were the ones putting up the best effort when you think about it. At first I was also skeptical of how they beat Steppenwolf in the past as well, but since they had a lot of guest stars helping then I was fine with it. I was convinced once the flying warrior showed up and even more when the gods of old turned up. Lets face it, they did all of the work. The Atlanteans, Humans, and Amazonians were just there for moral support. I can’t say that I cared for the action scenes where Steppenwolf was wrecking those two armies either. It’s just never very fun to have a big character crushing a ton of powerless ones unless it’s a character you really like or something. As I’m not a Steppenwolf fan, you’re just waiting for a hero to show up so it’ll be a fair fight. Then you just keep on waiting until the fight is eventually over. So, how high does this film rank in the all time list? Well, it’s definitely below Batman V Superman and I’d put it under Man of Steel as well. After that, it’s close between this one and Avengers for third. I think this one will edge out so Avengers grabs the 4th spot and Civil War grabs number 5 which rounds out my Top 5 Live Action CBMs of all time. What gives this one the edge for 3rd are essentially the action scenes since the one thing Avengers lacked was any big fights. Again, it’s an underrated edge for DC as their fight scenes cannot be beaten. There are two after credit scenes. Surprisingly the first one is the happy comedy one instead of vice versa. Probably a way for DC to be different from Marvel. It’s a decent scene even if it goes nowhere and the film was playing it too safe. We all know that the guy on the right who scrunched up his face during the scene won because he was taking it very seriously. The 2nd scene gets some setup going for future DC films. It should make for a pretty good plot although I definitely want Darkseid for film 2. The problem with having other villains is that I’m going to be asking the real questions the whole time…how can they handle Superman? Black Adam would solve that equation, but everyone else would get lolstomped inside 2 seconds. Especially since Superman has been heavily amped from his already impressive Man of Steel portrayal. This is a pretty long review as it is. The thoughts keep on piling up but this review would be way too long if I jotted it all down. Feel free to leave a comment if you want to discuss something in more detail. As for miscellaneous thoughts, one area where Avengers does have the edge is in the fact that the characters were already established. As a result, it felt like a huge crossover since all of the characters were crossing over. It merged at 4 films, Hulk, Iron Man, Thor, and Captain America. This one in comparison only merged two, Batman/Superman and Wonder Woman. 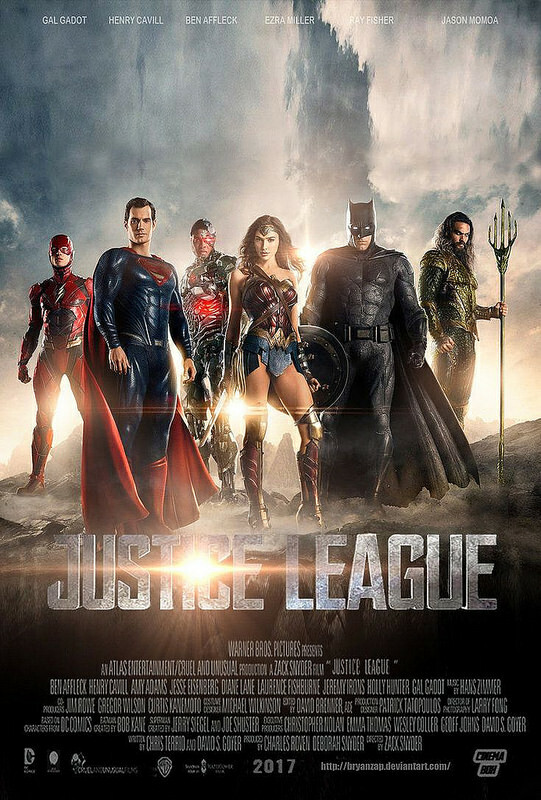 The other League members debuted in this film so it wasn’t as big and since they were newbies who hadn’t yet had their own film to save the world, they weren’t as impressive as they should be. Marvel’s formula is certainly the right one to building up a team film, but I am ultimately glad DC skipped a few steps because I don’t want to wait 5 more years for the first Justice League. Now that this one has finally been made, we can start expanding the universe more. I wouldn’t even mind if DC forgot about the spinoffs and decided to just focus on churning out Justice League film after film. It would be a pretty unique way to go about it and I’d be on board. Overall, This was a great film. Once Superman showed up, it became an amazing one. Honestly, Superman’s depiction in terms of strength was enough for me to know that this would be one of the all time greats. He’s my favorite comic book character and I’ve always considered him to quite easily be the strongest character of all as well. DC has continued to surpass my expectations when it comes to fights and power levels. They are simply unmatched and when you have a character like Superman that just makes a lot of sense. I highly recommend checking this film out. It may not be quite as intense as Batman vs Superman or Man of Steel, but it did get the end of the world vibe just right. Something is always happening and the atmosphere is always tense. I will eagerly await the next Justice League or Superman film. It’ll also be nice to see if DC can save Aquaman and Flash in future films, but I feel like sticking to films where Superman can show his stuff is the safest option. It’s time for one of those iconic films that is supposed to make you super emotional. If you don’t cry during the ending then your emotions might be broken. That was my general understanding on what this film is truly like, but unfortunately I didn’t cry at the end. Honestly, I never even felt remotely sad and the only emotion that I had at the time was disappointment. The film’s actually rather boring and there are no good characters. The soundtrack is the only real upside of the film. It starts off with Elliott having a tough time at home. His brother is playing cards with a bunch of his friends and nobody wants Elliott to play with them. They send him off to go get a pizza instead, but then Elliott sees an alien run into the shed and promptly drops the pizza. Gee Elliott, if everyone was giving you a tough time before, it’s only going to get worse from here on out. Everyone blames Elliott and naturally nobody notices the alien. A lot of personal insults are thrown and the insults are pretty intense. I prefer milder insults so the film loses some props in the writing department for this. How can Elliott possibly bounce back from this? Hint: He can’t. Long story short, the alien is called E.T. by the kid (Very original) and he just wants to go home. His family of other aliens ditched him to escape from the humans since it was a “Every man for himself” kind of moment. E.T. doesn’t take it personally at least since he is barely intelligent at first and only gradually learns how to communicate. You can’t help but feel bad for the guy since he doesn’t realize that the aliens aren’t the most noble of creatures. E.T.’s design isn’t one that I personally like, but I suppose it’s distinct. Whenever he stretches his neck I can’t help but feel like he is challenging the main characters. As with most aliens he can be rather annoying. He makes a mess of Elliott’s room and steals food from the fridge. We even have a long scene where he gets drunk on beer. Hopefully that works as a nice PSA for other kids who are tempted to drink. Nobody wants to get drunk after all…hopefully. E.T. can use his TK abilities to fly, but he rarely does so. He spends most of the film getting scared and then losing to the government. He felt more like a liability than an asset to the main characters which you wouldn’t expect from an alien. I just never got around to sympathizing with him all that much. Elliott is annoying as well though. He brings up the Mom’s ex husband for no reason other than to just get his revenge. Dropping the pizza was completely unnecessary and he pretends to be sick just to skip school. He also has no will power so E.T. is able to control him to make a move on one of his classmates. It was a rather terrible scene and maybe the worst one in the film. Nobody stopped Elliott and naturally they played it off like it was a happy event for both of them. I couldn’t buy into it at all. Elliott also gets a little too emotional at times and panics quite a lot. He’s not quite ready for an adventure like this. I can’t say that I trust the government much either. One guy claims that E.T. came to him once, but I don’t believe him. They do try to keep him alive at the end, but likely to serve their own purposes. Why are they chasing the aliens? Perhaps there is no reason and chasing the aliens just seems like a good move, but they certainly are bad at their job. How could they lose him when they were so close at the beginning? Also, pointing shotguns at the kids is rather extreme. On the positive side of things, the soundtrack was definitely really good. You can really hear a lot of Star Wars in it at all times which helped convey a sense of danger. The rest of the film didn’t really contribute, but at least the music tried. While the writing wasn’t particularly good, the music helps it get a little more bearable. Some reactions really were over the top though. The Mom panicking every time Mexico was mentioned or her quick laugh after Elliott’s insult before telling him off. The laugh was incredibly out of place. A lot of the film also just feels like filler as we have happy times with the alien. One positive of modern blockbusters that this film could have used was more explosions. Have there be an evil E.T. or something. Apparently the sequel would have had evil aliens so I have a feeling that this would have been a whole lot more exciting. I’ll give the film some props in another scene. During the frog dissections I was worried that the film was really going to shoot itself in the foot. It did in a way during the random scene with Elliott’s classmate, but the frogs all got to escape. That was great. I personally do think that it’s very inhumane for schools to have kids murder frogs just to learn about anatomy. That’s what we have books for and realistically close to 0% of those kids are going to work in that field so the frogs are dying for nothing. 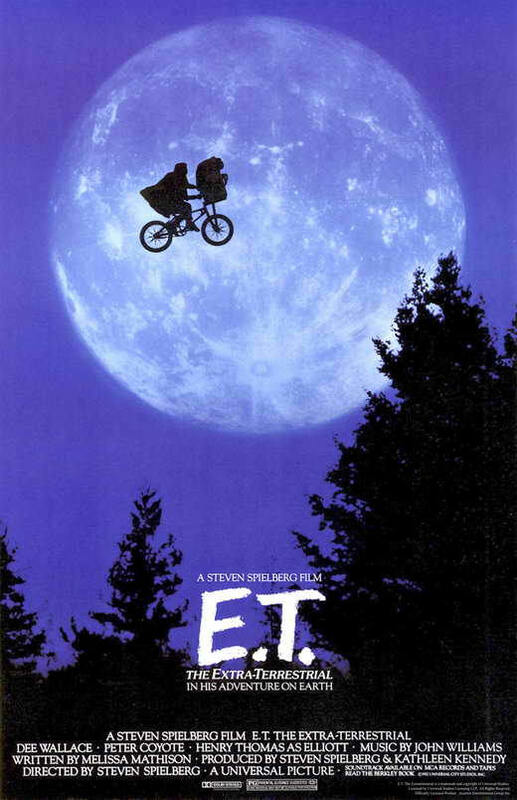 Saving them was probably the most heroic point of Elliott’s life even if he didn’t do it willingly and E.T. was controlling him from afar. The dog that was in the film was also cool even if his role was rather small. Overall, E.T. isn’t a very fun film. It has very bad pacing and nothing really happens until the government shows up near the very end. The film is over 2 hours I believe so it drags on immensely in the meantime. Also the annoying cast hurts. Lets put this into perspective, all of the main characters are kids. That’s bad news. I’m not a fan of kids being the main characters so when all of the main cast are kids, we’ve got a problem. The bullies turning over a new leaf didn’t count since they just wanted to defy authority. Elliott never became all that likable and I wasn’t sold on his brother either. The sister was quick to betray the others whenever she thought she could rat them out about E.T. so she was rather annoying as well. The film even messed up the ending as it should have been E.T. peddling away on his bicycle. Imagine the cool visual that would have been. It could have saved the film and made the whole thing more emotional. Anyway, I don’t think this film has aged well and I’d avoid it. If you want a better alien story, check out Man of Steel. It’s time to take a look at the original Final Fantasy film. I saw this one a long time ago when I was a kid. I remember enjoying it back then so I wanted to revisit it and see if the film was as good as I remembered. It’s certainly a very interesting take on the series since it really has nothing to do with Final Fantasy. I suppose that you could say the same about most Final Fantasy games, but at least they all have the standard enemies and a lot of the same lore. This feels like it is Final Fantasy in name only. It’s a good story that is bogged down by not really having any direction. Aki’s world is in a very perilous position. It is now a desolate wasteland that is infested with aliens. Everyone now lives in a space station as they seclude themselves from the rest of the world. Going outside for even a moment without a space suit will result in you getting infected and turning into an alien/zombie. Aki works for Doctor Sid and they believe that they have a cure. They simply need to find the 7 (I think it was 7) Gaia elements. Every living thing has a soul, which is a Gaia. There are 7 chosen ones which are needed to blend together and power a generator which will essentially make the virus inert. The only problem is that the government is tired of waiting and they don’t believe in the whole Gaia thing. They want results and they want them yesterday. General Hein proposes that the government use a giant cannon to fire at the planet. Sid admits that this could work, but that it could also destroy the planet’s soul. Two very different approaches, but only one of them will ultimately work. Who will strike first? So, that’s a pretty interesting plot line. The film also starts off right away as Aki breaks the rules and quickly heads down to the planet to grab a sample. She has a brief skirmish with the aliens, but is saved by a group of soldiers. I don’t really get Aki’s plan here though since she seemed surprised by the aliens and was also not prepared for a fight. She wouldn’t have lasted long without the soldiers so the mission would have been a waste. Unfortunately, the scene is rather dark and the camera keeps shifting so we don’t get a proper look at the fight, but it is a very atmospheric way to start the film. It’s very tense and feels like something out of a Resident Evil film. Unfortunately, things slow down from here. We don’t really get another fight scene until the very end of the film. The next large chunk of screen time is on Aki and Sid discussing Gaia, the fate of humanity, the aliens, and we also get some romantic tension between Aki and Gray. That goes on and on and on for quite a long while with the side characters also getting some development. 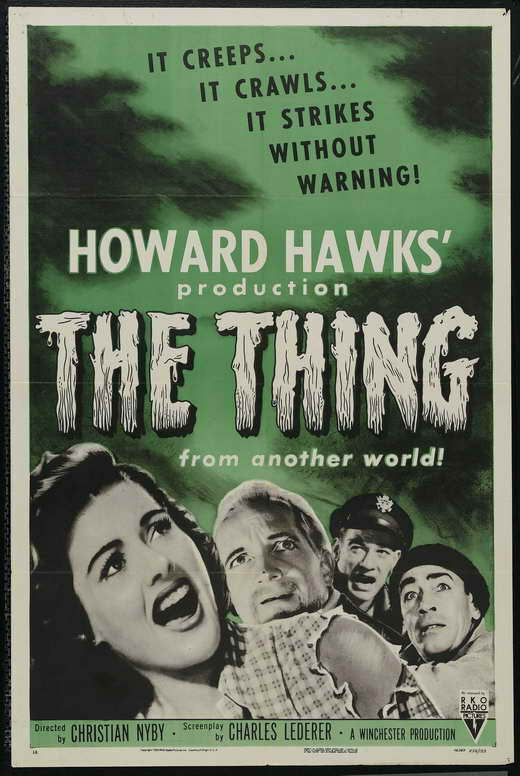 At the very end of the film, Hein unveils his big plan to invite the aliens into the base to scare the authorities and make them give him authorization to shoot the cannon. The aliens come in and quickly overwhelm everyone for a while until the Gaia are assembled. That gave us another action scene, but not really a fight scene. It’s mostly just everyone running from the aliens. That made the first bit of the film a little misleading since it had a lot of action and was gearing us up for something epic. I also think that the rest of the film was a bit of a missed opportunity since the heroes were safe and peaceful inside of their base the whole time. That kind of destroys the tension since we know that there is no way for the aliens to get in. We do get a big plot twist about the aliens and we learn why these spirits are intangible. It’s actually a little self explanatory and you can put the pieces in place yourself. Think about it…why would these Aliens be spirits? How do people typically turn to spirits in these kinds of things? Just think about it and it should come to you. The twist wasn’t bad in itself, but there wasn’t much of a point behind it. Nothing ever came out of this revelation and it didn’t change the final objective. As the main character Aki is fairly good. I always like the “Take charge” characters so breaking the rules to go and save the day was cool. However, not being prepared wasn’t really excusable. Aki’s random visions were intriguing, but they kept distracting her from what was actually happening. The romance also made for another distraction. I liked what they were going for with Aki, but I feel like she definitely could have been a better character. The same can’t be said for Gray, who never shows signs of being a good character. He’s annoying from the get go and again…the romance just wasn’t handled well. He seems like the kind of guy who panics very quickly when things don’t go according to plan and he just wasn’t very useful. There wasn’t much to Gray and he was just there to be the tough army guy. That was his only character. Sid was a nice enough guy, but a fairly generic scientist. He was pretty smart and at least he wasn’t afraid to state his opinions, but he also wasn’t bold enough to discuss Gaia with the council. It’ll be a little hard to convince the council of anything if you aren’t being straight with them. I had nothing against Sid though, he wasn’t a bad supporting character. The best character here was actually Hein. He was the main villain and he showed a lot more drive than the rest of the cast. I don’t necessarily disagree with his plan to use the cannon since the planet was already uninhabited and since I also wouldn’t believe that the planet is actually alive, I’d definitely take the shot. Naturally, he went off the deep end when he let the aliens into the city and put everyone in danger. That’s where he became the main villain, but at least he had real goals and aspirations. He didn’t strike me as a one note villain and he performed the role pretty well. It was a small cast, but that doesn’t take away from Hein’s win. The graphics look pretty good. They’re nowhere near Advent Children and I suspect that the film was constantly very dark and vague in an effort to mask everything that was on screen, but it still looked good overall. It doesn’t compare to the average anime film, but CGI rarely does. We also didn’t get many action scenes as I mentioned so there wasn’t much of an opportunity to show off the animation either. Unfortunately, there isn’t much of a soundtrack either. It’s not bad, but very forgettable and you probably won’t remember it a few days after you finish the film. It’ll just be completely gone as far as you’re concerned. While this may not sound like a very positive review, it was still a good film. It was just riddled with missed opportunities and a lot of moments where the film could have really shone. I mean really…how hard would it have been to have included some more action scenes? Having some visible action moments would have been great and since they put a lot of budget into the film, I like to think that it could have handled some day time fights. I think the film may have been trying to look a little too realistic which ended up hurting it a bit, but that doesn’t really make up for the pacing. Still, the actual concept was interesting and the plot was good. Action or not, you shouldn’t get bored while watching the film, but it does mean that it has low replay value. Overall, You should check this out if you’re a sci-fi fan and like a good apocalyptic future kind of film. If you’re a Final Fantasy fan, don’t watch this film in that mindset. Treat it like a Final Fantasy product and you are bound to be very disappointed. The decision to make this a stand alone doesn’t really make any sense, but it happened and we did get Advent Children around the bend anyway so that more than made up for it. Watch this once and then you’re basically set for life. I don’t think I’ll be watching this one a third time myself. 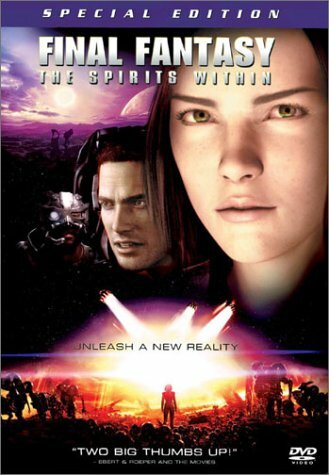 Once you’re done, just think about how cool a prequel would have been about the actual alien race instead of the spirits. That would have solved a lot of problems. It’s time for a retro film that is actually quite well known. I’ve certainly heard of this one over the years as it has become quite the meme. It was certainly a novel idea at the time, but unfortunately, the execution simply isn’t on point. While it’s supposed to be a very fun popcorn film that you just enjoy and laugh with…it wasn’t that fun. Whenever I talk to someone about this film, I get the classic response that the film is a blast, but I just didn’t get that vibe. Maybe I need to get used to retro humor a little more. It has been a rough year for Nancy. Her husband finally came back to her as he wanted to get rich quick, but he still openly cheats on her. Nancy doesn’t know what to do about this since she should clearly just make him leave again, but she can’t get past her emotions. In the meantime, Harry keeps insulting her butler and bribing the cops. Harry plans to get her back into an asylum, but he’s not sure how to quickly accomplish this. His worries come to an end when Nancy claims that she saw an alien ship. Harry makes sure to insult and belittle her as much as possible while also slightly encouraging her at times to turn her emotions to jelly before breaking her mind. Nancy is at her breaking point when the alien shows up again and defeats her. Harry runs away and tries to cover this all up, but Nancy turns up the next day. She is unconscious and doesn’t know what happened. Harry is the main suspect so he quickly tries to destroy her, but this plan doesn’t work either. His only chance is to leave town, but can he outrun a 50 foot giant? I realize that I just said pretty much the whole plot, but it’s hard not too. The whole point of this film is that Nancy turns into a 50 foot giant, but this doesn’t happen until the very end of the film. It’s not a spoiler since it is in the title and promotion so my plot summary has to make it at least that far. There’s just not much more to guess by that point. You’ll probably know the rest of the ending. All right, lets talk about why I did not like the movie. For starters…it is not fun. I have to address this right off the bat. Nancy is in a very sad predicament and the fact that she is being completely used the whole time and does nothing about it makes the whole film rather sad and underwhelming instead of fun and up beat. Nancy realizes that Harry just wants her money and is being a terrible guy the whole time. She mentions as much, but the problem is that she suffers from quite a few mood swings, which virtually make her forget about these incidents as soon as they happen. Harry tries to sabotage her at every turn and she is not able to do anything about it. If she was a better main lead, then the film could have been more fun. If she was trying to humiliate Harry and take him down for the count, it would have been a lot more even. I would have been able to get behind that. As it is, the whole thing is simply too one sided. Nancy doesn’t even get to have her revenge since as soon as she turns giant, the power of electricity shows up. It’s just not really a fun resolution so I just don’t see where the fun factor comes in. I suppose that the film is certainly campy, but at the same time, the main plot is seriously sad. That sort of negates the whatever humor the film was going for. Harry’s just such a bad antagonist. Since Nancy won’t fight back, it is just annoying to see him show up. The butler was a nice character, but it’s a shame that he wasn’t able to beat Harry. I’ll give him some props for actually trying and not just backing off as soon as he showed up. Calling the cops was the right move though so it was good to see the police respond in time. Charlie was a rather suspect deputy as he got bribed by Harry for a while, but at least he stood up to him when the going got tough. Harry’s not bad, but he certainly goofs off a little too much. If I was the sheriff, I’d be looking for a replacement as soon as possible. After all, the sheriff was at the top of his game right from the start. Nancy nearly ran him over, but the guy had good reaction times. Honey was the other villain who helped advise Harry on how to put Nancy in a bad spot. She was always ready to go the extra mile as she recommended permanent solutions to their predicament. Of course, the joke is also on Harry as the film heavily implies that she doesn’t mind cheating on him either. She’s also just in it for the money so the cycle continues and continues. In the end, they will all likely get a bad ending as a result. The main highlight of the film is probably the fact that aliens show up. The alien in question doesn’t have the greatest design and he’s just a super large guy, but I’ll take it. Adding aliens always makes for a whole new dynamic in the film. I would have liked to have seen him do more or show up at the end to gloat, but I suppose the mystery is part of his charm. Maybe he’d show up more if the film had gotten a proper sequel. I can’t say that the premise has much potential when it comes to a modern film remaking this, but it could be good if handled right. Lets face it, Nancy would be changed quite a lot for a modern film and I think that’s a good thing. I don’t see her being quite so indecisive in a remake and Harry probably wouldn’t get the first and last laughs. It’s debatable if he got the last laugh here, but he certainly got to have a lot more fun than Nancy so it wasn’t much of a win. Overall, The film just wasn’t that fun. I suppose you are not supposed to take the main plot all that seriously, but I personally just found it tragic which hurt everything else as a result. Watching Harry just mooch off of Nancy’s riches the whole time was terrible and she never did a thing about it. It’s the kind of plot that you would only see in an older film and it’s one that I certainly don’t miss from the modern times. Nancy didn’t even get to turn giant for very long so you’ll be waiting a while for the actual title to come into play and then the payoff is very small. This film just didn’t work for me and I certainly don’t recommend it. I’m not saying that it’s terrible, or at least not as terrible as some of the other films that I’ve reviewed lately. I would say that it is a bad one though and I’d recommend checking out Godzilla instead. No such luck folks. There were no stats to be found here. It’s time to look at a relatively old game. I believe that I got this one for Christmas last year. If so, then it’s been almost a full year but at least it is finally complete. The game is actually very short, but it was a fun experience. If the camera work had been better, then it would really have been a great game. It’s solid, but don’t spend too much on it. You have the option of choosing the guy or the girl. I chose the guy on my play through and it starts with you fighting off some terrorists. After you gun most of them down, one of them lets you know that they are actually Freedom Fighters and they are fighting to save Earth from Insectoids. The main character doesn’t show much remorse for destroying the guy’s allies, but does quickly help fight off the aliens. Can the hero take down the Alien Queen to save the planet or will he falter? Moreover, how does this change the fact that the “Freedom Fighters” were going around messing up the city and presumably destroying a bunch of civilians? Granted, many of them may have been shape shifting aliens, but all of them? Looks like we will be getting a deeper look at good and evil than we thought! Hidden Invasion plays out like your classic 3D shooter. You can instantly tell that it is a PS2 game based on how the graphics look. There’s something about the PS2 that was simply very distinct. The game looks like Oni or Eve of Extinction. I’ll get back to the gameplay in a moment, but I thought that the graphics were fairly good. It’s not all that detailed of course and the actual character models can be a little blocky, but it has a fun nostalgic look to it. At the very least, I can say that it was visually interesting from start to finish. It won’t win any awards, but it can hold its own. As for the gameplay, it feels a lot like an arcade game. You can punch, kick, grab, shoot, or use your special attack. Your special attack takes some of your health away, but it causes a shockwave that deals a lot of damage to all enemies around you. It’s well worth the health when you are surrounded by aliens and low on ammo. Guns are your friends here as you are virtually defenseless without them. You can use the guns to mow down armies of aliens at a time. When you are down to hand to hand combat, you can only really deal with 2 enemies at a time. Any more and they will quickly start to overwhelm you. Strategically using grab and block will help a bit with this though. Each level has a timer that will range from around 5 minutes to 10 minutes. You have to get to the goal or find some things before that time expires. I never had the time run out on me as it is quite generous. That’s considering the fact that my TV has a tough time with the darker levels so it should be even easier for whoever is reading this. You won’t have a problem. Each chapter has a few mini levels and there are 7 chapters in the game. You can probably complete the whole thing in around 3-4 hours, possibly less if you really know what you’re doing. One thing that helps to make the game very manageable when it comes to difficulty is the fact that you instantly re spawn where you died as long as you have more lives and you start with a free super attack. Maybe a boss will beat you once or twice, but 4 times? You’d really have to be missing all of your shots and punches for that to happen. The key to every boss fight is to completely ignore the minions. They are endless so it is pointless to waste your bullets and energy on them. Just keep on punching the bosses and you’ll be okay. The final boss is the only exception. You still ignore the minions, but you can’t punch or shoot your way out of this one. The only way to beat her is to throw grenades. The funny thing about this is that it is literally the same final boss as the Anubis game that I recently played. The only difference is that the controls are actually good this time around. She can KO you in one shot with her fire breath which I find a little cheesy, but your grenades have a long range so you technically never have to get near her. Play the long game and you’ll be fine. I mentioned the camera angles before and trust me, they are as bad as you can imagine. You can’t alter the camera at will so you just have to roll with the turns whenever you make a turn. It can make it a little difficult to aim properly with the gun so just shoot wildly and hope that you hit something. It’s not quite as bad as Batman Dark Tomorrow, but it can get a little grating at times. It forces you to fight a little more than you’d like. My only other gripe is that fact though. The minions are infinite on all levels and if they are around, you have to beat them before pressing on. This means that you have to fun very quickly once you beat a group since you will have about 10-15 seconds before the next wave shows up. If you get lost at all and have to circle back, prepare for a lot of fights. There’s not much of a soundtrack to be found here. You’ll likely forget all of the tunes as soon as you turn the game off. Not to worry, what it lacks in audio, Hidden Invasion makes up for in cutscenes. The story was fun to follow and this is due in part to the fact that actual cutscenes were used. While PS2 is certainly capable of having cutscenes as many games have shown, I don’t always expect them so it was fun to see. Unfortunately, there is not a lot of replay value to be found here. Once you have completed the game, the only thing you can do is beat it again. There is no post game content to keep you hooked and I think that’s a bit of a missed opportunity if you ask me. It’s still good for the initial play through of course, but this helps to keep it from being known as a great game. Overall, Hidden Invasion is a fun stand alone game. 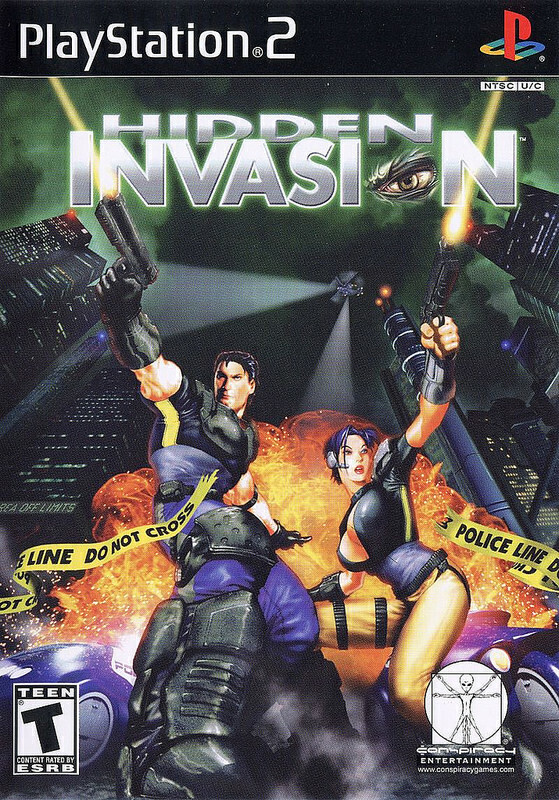 It does a good job of depicting just how serious the alien invasion is and the gameplay was a lot of fun. It’s the kind of Arcade Game that’s easy to plug and play. The controls aren’t quite as simple as some other Arcade titles so you’ll still want to look at the booklet at least once, but it is smooth sailing from there. When the aliens start rushing at you, you’ll want to take your blaster out and exterminate them all. It makes you feel like you’re in a real alien movie. The Alien Queen had a cool design as well and made for a good end boss. If you haven’t bought the game, then I recommend taking the plunge. It’s the only way to know whether or not you are cut out to be an alien hunter!